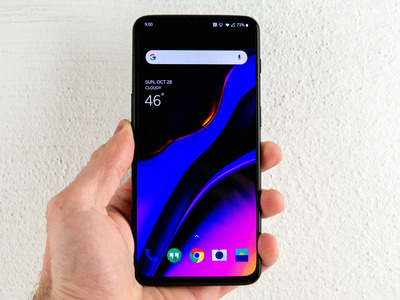 Apart from announcing the OnePlus 6T, OnePlus also said its new device would be carried and sold by a US carrier – T-Mobile – for the first time in its history. 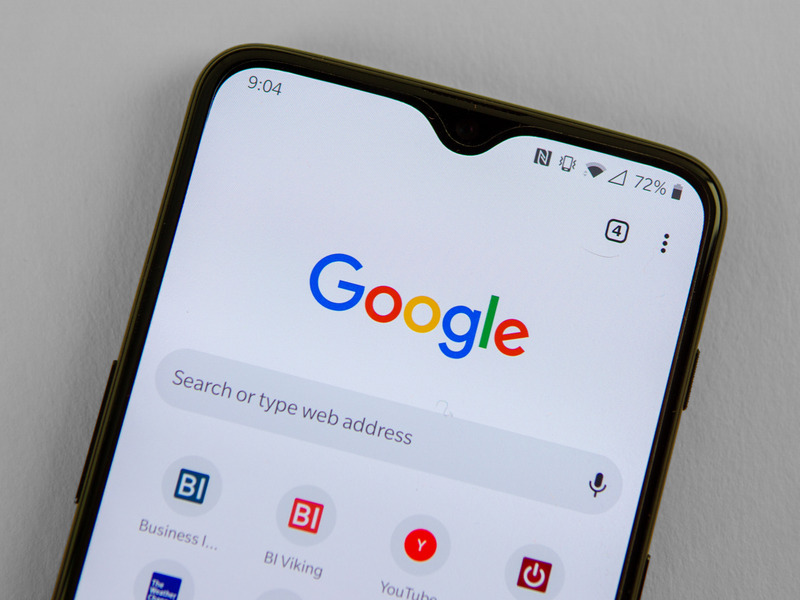 That’s a major deal for the company, as smartphone popularity in the US is often dictated by availability in carriers’ stores. The OnePlus 6T will start at $US550 and be available to buy from T-Mobile and from the online OnePlus store on Thursday. It has a new notch with a water-droplet design. The OnePlus 6T’s notch is the smallest and most tasteful there is compared with other notched phones like the iPhone XS and the Google Pixel 3 XL. Compared with previous OnePlus devices, the OnePlus 6T is on the heavier side – a bit of shame, but it could be a result of new features that I’ll get into later. Underneath the display is a fingerprint sensor — the first of its kind for a smartphone available in the US. 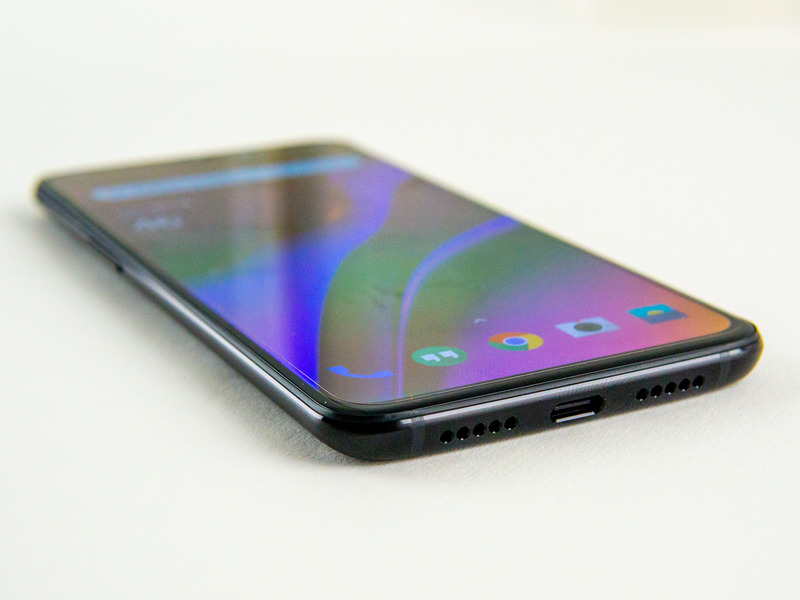 To accommodate narrower bezels, most smartphone makers moved the fingerprint sensor to the back of the phone, including OnePlus with its previous devices. The OnePlus 6T is the first smartphone widely available in the US that comes with a fingerprint sensor hidden underneath the display. So far, it’s worked surprisingly well, and there don’t seem to be many compromises compared with a more traditional fingerprint sensor. 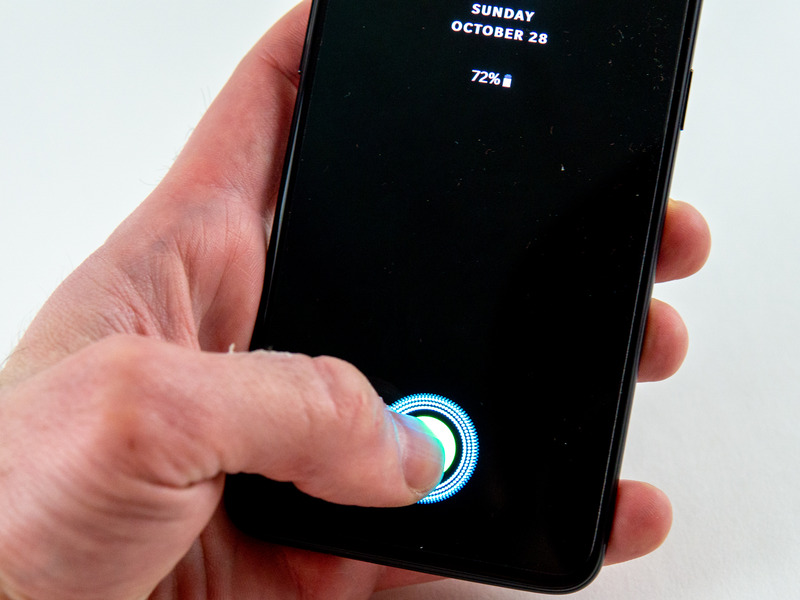 The only time the in-display fingerprint sensor posed a problem was in bright, direct sunlight, affecting the way it works. But when the fingerprint sensor faced any issues, I could rely on the extremely quick facial recognition to unlock the phone. It has a familiar — but sleeker — design. 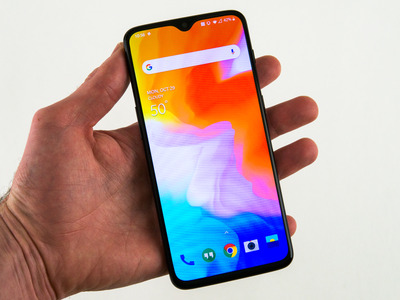 The OnePlus 6T’s back is a bit of a throwback to when most phones had fingerprint sensors on the front. 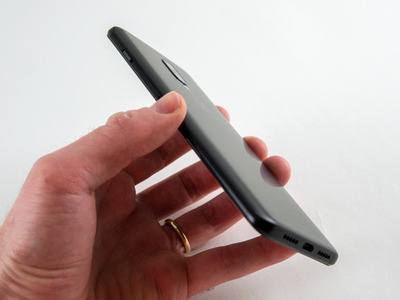 Now that the fingerprint sensor has returned to the front with the OnePlus 6T, the back of the phone no longer has one, making for a sleeker look. This one will be a little controversial for some people: OnePlus said 59% of its users were already using wireless Bluetooth headphones, so the company decided to remove the headphone jack. Removing the headphone jack also allowed OnePlus to include the in-display fingerprint scanner, the company’s founder, Pete Lau, told Business Insider in an interview. For those who like to stay tethered to their favourite pair of wired headphones, a USB-C adaptor is included with the OnePlus 6T. The OnePlus 6T has a bigger battery than previous models. The OnePlus 6T has a 3,700-mAh battery, larger than the 3,300-mAh batteries in its previous devices. So far, battery life has been impressive. 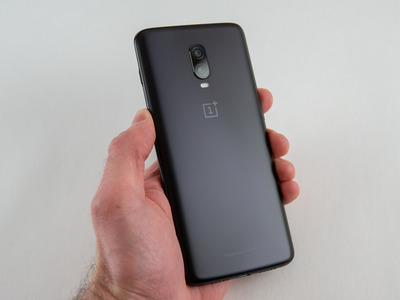 That larger battery could have something to do with the extra weight in the OnePlus 6T. If that’s the case, it’s worth it. There are some overall camera improvements and new camera features. The OnePlus 6T has a dual-lens camera system, with the primary 16-megapixel lens acting as the main camera and the secondary 20-megapixel lens helping with the depth of field for portrait-mode shots. 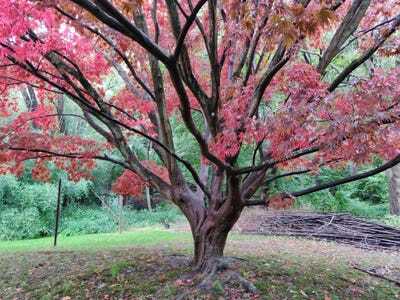 While the OnePlus 6T’s hardware is similar to the previous OnePlus 6, the company tuned some of the software for better shots, especially those using high-dynamic range, or HDR. 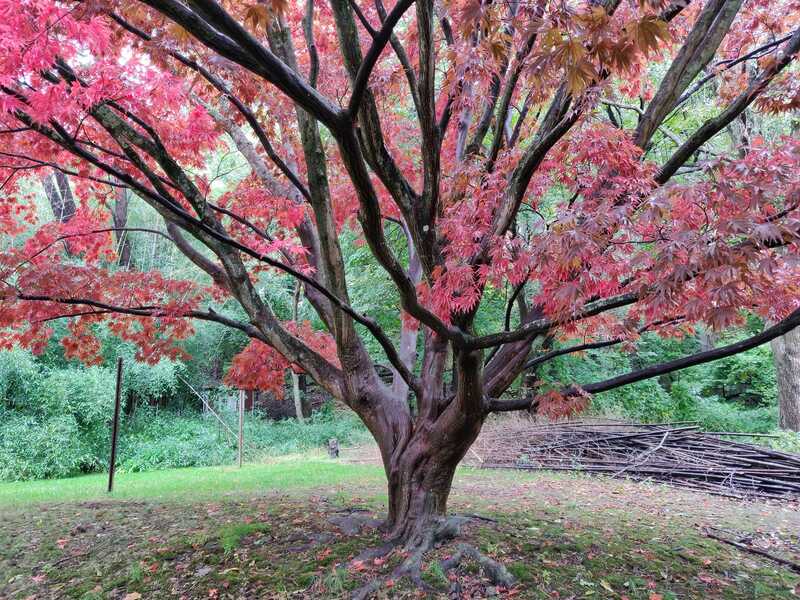 The OnePlus 6T’s HDR did very well in the photo above by revealing details in darker, shadowy areas on the tree without brightening those areas too much. Low-light performance has also been improved. There’s also a new “Nightscape” feature for better low-light shots of cityscapes, and a studio-lighting feature designed to provide more even lighting for faces in portrait-mode shots. On T-Mobile, the OnePlus 6T with 8 GB of RAM and 128 GB of storage will start at $US580, $US30 more than the base phone with 6 GB of RAM if you bought it from OnePlus. The company will let T-Mobile customers trade in their old devices for a $US300 credit starting Monday at the Times Square store and starting Thursday at stores nationwide and online. That essentially reduces the price of the OnePlus 6T to $US280, or about $US11 a month on a 24-month instalment plan. It might seem odd to release a smartphone without these features in 2018, but you have to remember the OnePlus 6T starts at $US550 while other high-end phones start at about $US700. It’s $US20 more for the base 6 GB RAM model, but you get twice the storage of the OnePlus 6, at 128 GB. The model with 8 GB of RAM and 128 GB of storage – the one T-Mobile will sell – is $US580, like the OnePlus 6 with equivalent specs. The model with 8 GB of RAM and 256 GB of storage will cost $US630, like the OnePlus 6 with equivalent specs. Still, while much of the meat might taste the same as the OnePlus 6, the OnePlus 6T certainly has some extra flavour from the new features and updates.